Indira Gandhi Medical College & Research Institute (IGMCRI) Recruitment 2017, In the Indira Gandhi Medical College & Research Institute (IGMCRI) Recruitment 2017, Current Govt. Jobs for Technician, Radiographic Technician & Operating Room Assistant at the Indira Gandhi Medical College & Research Institute (IGMCRI) Recruitment 2017. Indira Gandhi Medical College & Research Institute (IGMCRI) Recruitment 2017 Staff Nurse Posts May 2017, Indira Gandhi Medical College & Research Institute (IGMCRI) Recruitment 2017 have been decided to recruit Staff Nurse Posts Advertisement Date 09th June 2017. Application Fees : Rs. 250/- in the form of Demand Draft/banker’s Cheque drawn in favor of the Director, IGMC&RI. 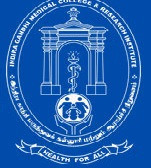 Indira Gandhi Medical College & Research Institute (IGMCRI) Recruitment 2017 Technician, Radiographic Technician & Operating Room Assistant Posts May 2017, Indira Gandhi Medical College & Research Institute (IGMCRI) Recruitment 2017 have been decided to recruit Technician, Radiographic Technician & Operating Room Assistant Posts Advertisement Date 12th May 2017. Important Dates which candidate should remember when applying Indira Gandhi Medical College & Research Institute (IGMCRI) Recruitment 2017 as follows. Probably you are waiting for this Indira Gandhi Medical College & Research Institute (IGMCRI) Recruitment 2017 Notification you can apply offline Indira Gandhi Medical College & Research Institute (IGMCRI) Recruitment 2017 posts Technician, Radiographic Technician & Operating Room Assistant. Now the question is who can apply the Indira Gandhi Medical College & Research Institute (IGMCRI) Recruitment 2017 Job, -Well those are planning to apply for this / these Technician, Radiographic Technician & Operating Room Assistant Posts should have the following minimum eligibility criteria. Also Check the Advertisement Details. Technician B.Sc. with Medical Laboratory Technician from recognized university /Institution and knowledge of computer. Radiographic Technician Degree in Radiography from a recognized university /institution. Operating Room Assistant SSLC or equivalent and one year training as a Operating room assistant from recognized university/institution. The Interested candidates can pay their application fees through DD/ Bancker’s Check in favour of Director IGMC&RI, Puducherry at IOB Kathirkamam Branch Puducherry. How to Apply Online IGMCRI Recruitment 2017 ? The Eligible Candidates may apply in prescribed application form along with self attested copy of relevant documents & DD send to Indira Gandhi Medical College & Research Institute, Vazhudavur Road, Kathirkamam, Puducherry-605 009 on or before 05.06.2017.